Yesterday we saw our first patients for 2018, Teddy and Jason make the transition to the ward. 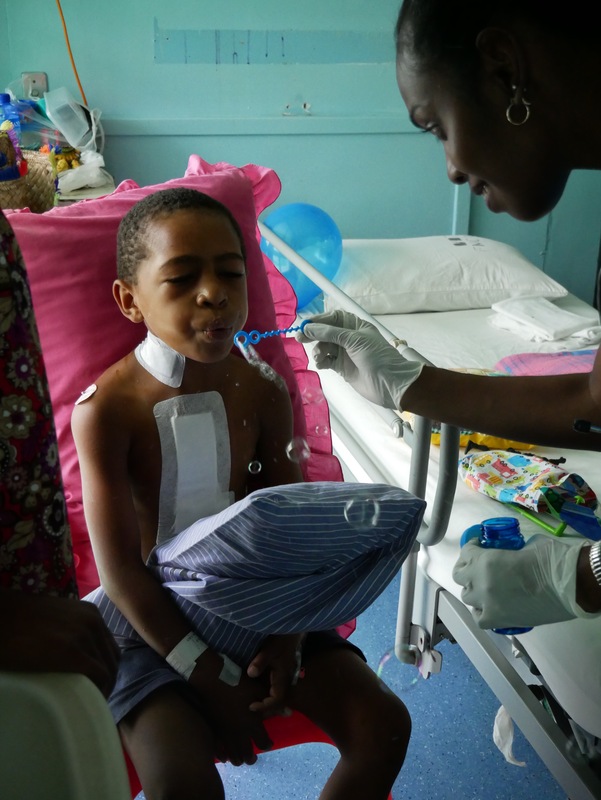 Although they were a bit hesitant at the start, they were still getting involved in the Physiotherapy sessions of blowing bubbles and playing with balloons. This morning you would think they are different children as they are full of energy again running around the ward playing with one another. The team operated on two more patients yesterday and another three are scheduled for today. 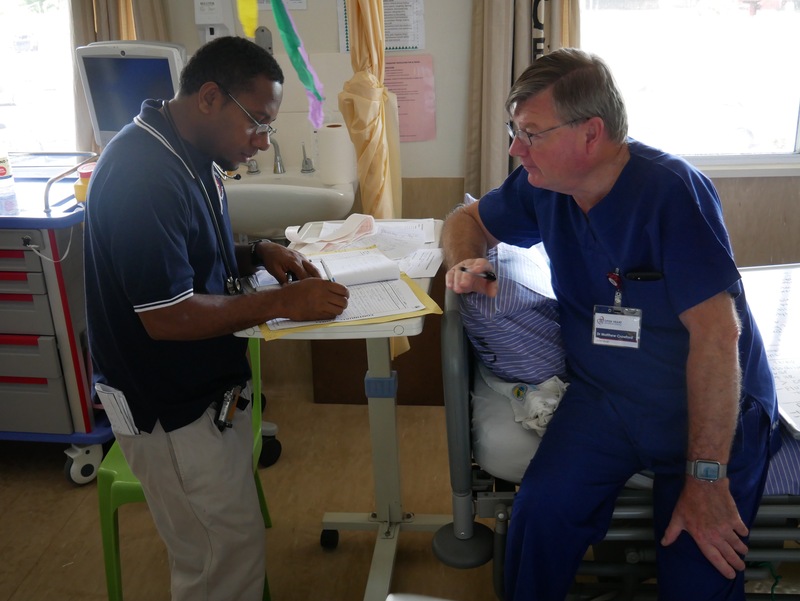 This is Dr Francis Pulsan’s first trip with Open Heart International (OHI), Francis is a Paediatrician in Papua New Guinea (PNG) and is eager to stand beside Dr Matthew Crawford, our Intensivist and absorb the knowledge he has to offer. 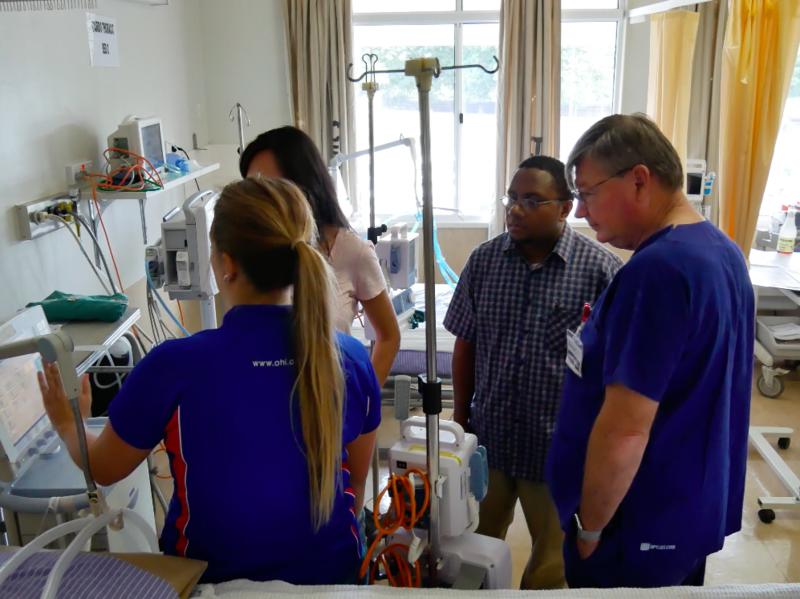 At this stage there is no dedicated Cardiac Intensivist at Port Moresby General Hospital. 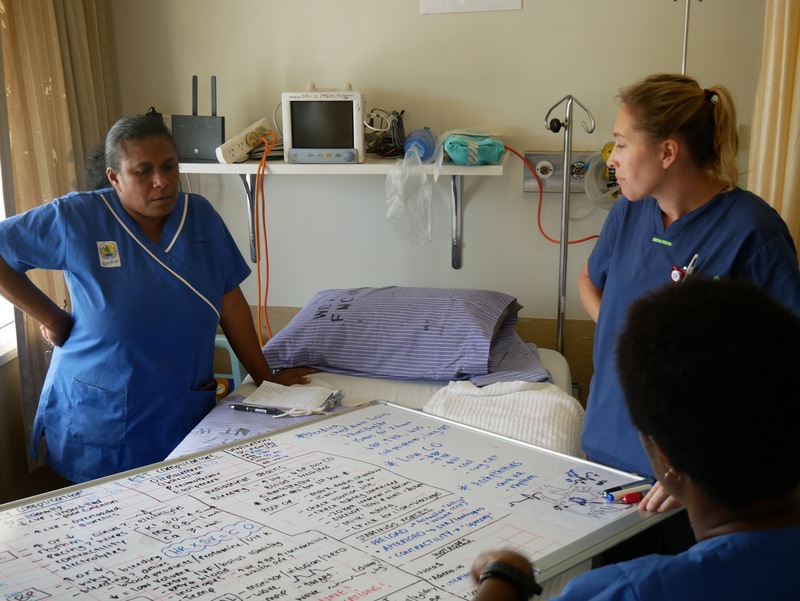 The PNG team we are working with are very excited to fill this role and see someone dedicated to the cardiac unit. 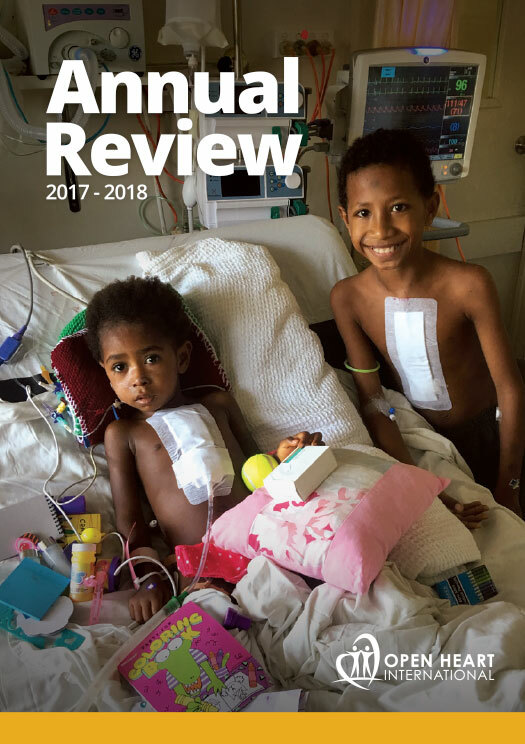 The plan will be to get Franics to specialise in paediatric post-operative cardiac intensive care and will follow a similar process to others from PNG who have followed a similar path. After extensive work with the OHI visiting team (twice per year) and also some additional training overseas, they sit final exams. The work required and skills to pass are identical to that of what would be expected of a clinician in Australia. 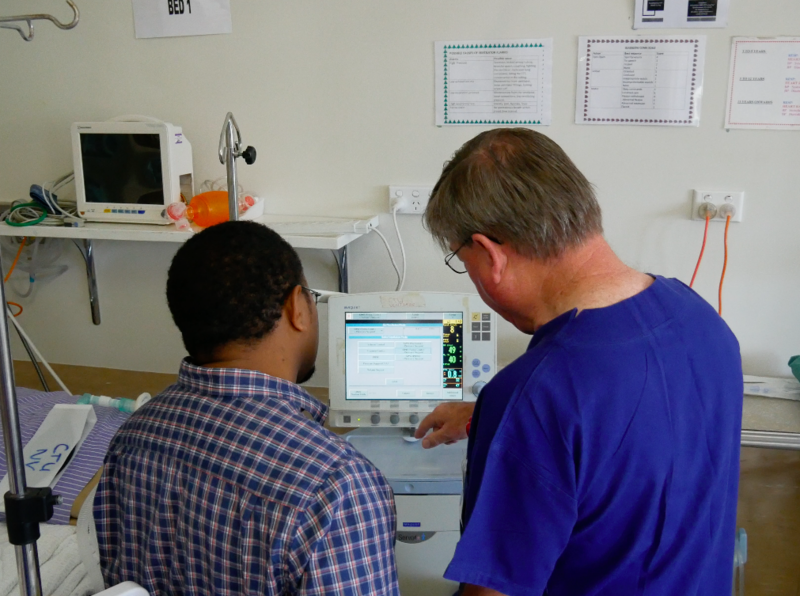 The teaching focus is a major part of what we do here in PNG. Francis said that the first few days has been a great learning experience and he is learning new things every day. Dr Elizabeth (Liz) Alok is another great example of eagerness to learn. 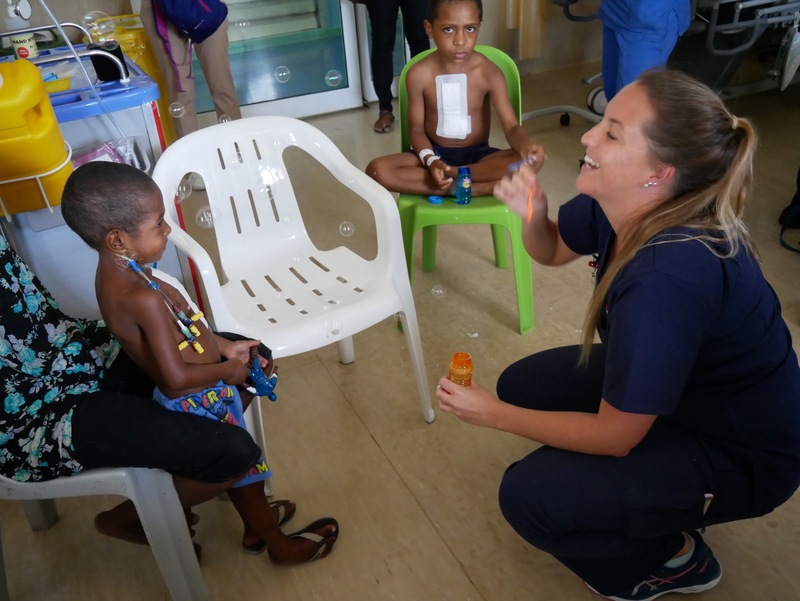 She is one of the local surgeons who was trained by the Head of Surgery here in PNG, Dr Noah Tapua. 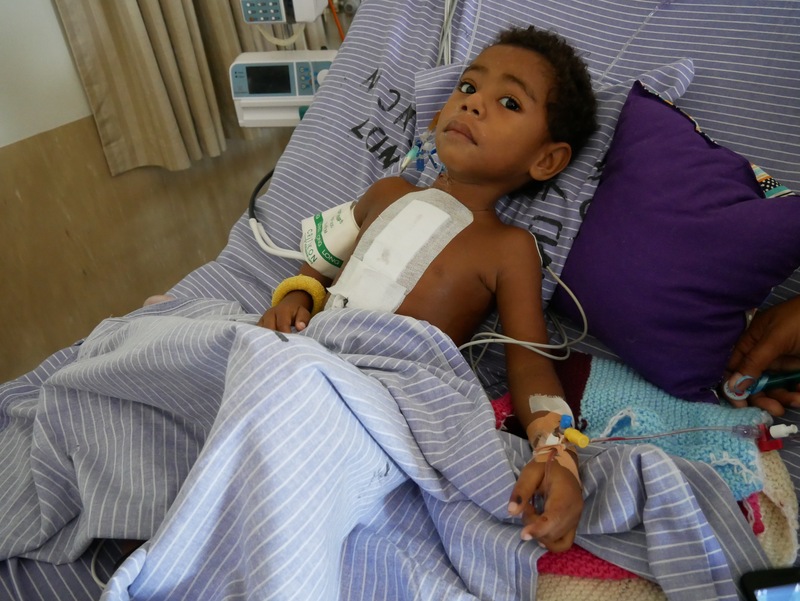 We were actually privileged enough to have Liz join the OHI team in Tonga last year for two weeks of surgery. 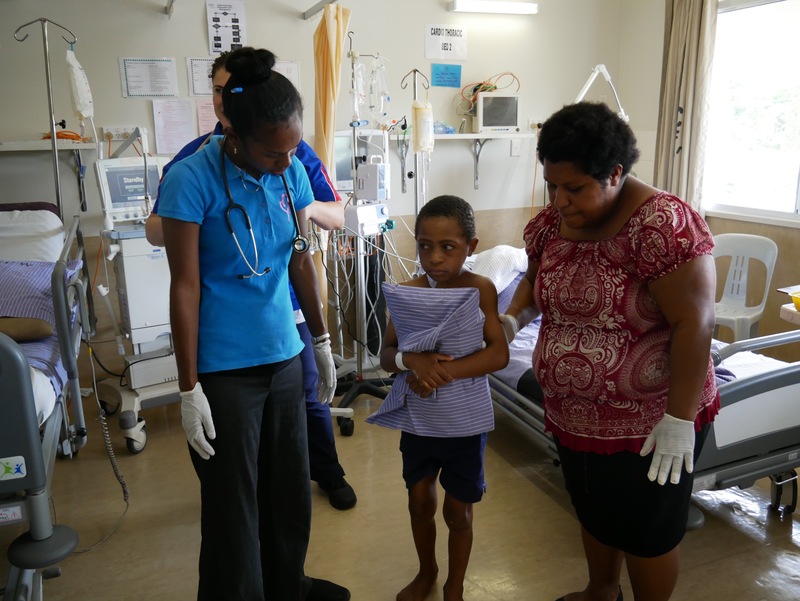 She is a familiar face to a lot of volunteers who have served in both PNG and Tonga. Liz is very committed and determined. She had her second child less than a month ago, but could not stay away, and has joined the team for the week to gain more experience. It is great to see the local team’s passion andenthusiasm to gain as much knowledge as they can from our team in the short week we are here.